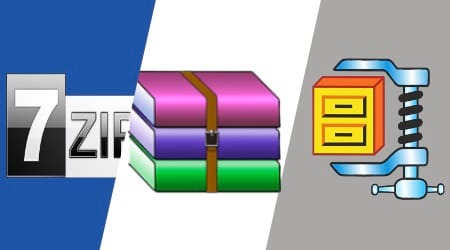 - Through the features and comparison of 7-Zip compression software WinRAR or WinZip, the user will definitely have the choice of a suitable and best file compression software with the needs of file processing, compress files daily on your computer, laptop. - There are quite a few tools available to help you compress and decompress files, but the article will only mention the three most common tools for compressing and decompressing files on your computer: 7-Zip, WinRAR, WinZip. - Before comparing 7-Zip compression software, WinRAR and WinZip, the user used a 1.3 GB video file and used the 7-Zip file compression tools, WinRAR, WinZip with the best compression settings of each software for more objective evaluation. - If 7-Zip stands out as a free and quality open source tool, then WinRAR, it is also free, but will require the user to register to purchase a replacement payment for the trial if you do not want to receive annoying annoying messages anymore. Meanwhile, WinZip is a paid file compression tool that will lock the software after the trial period expires. - WinZip is probably the most expensive file compression software available today for a commercial version ranging from $ 30 to $ 50. At this price, users are provided with an impressive file compression tool. WinZip supports users to shrink files such as RAR, 7Z, TGZ, GZ, TAR, CAB, ISO, ... fast. 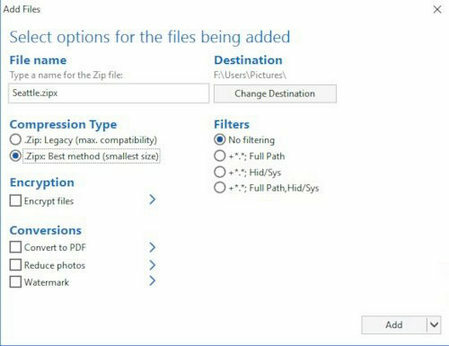 - WinZip says that WinZip can compress files on a computer in .zipx format with a higher compression ratio than many other compression methods. - To compress the file, right-click on the file you want to compress, then click on WinZip> Add to Zip. 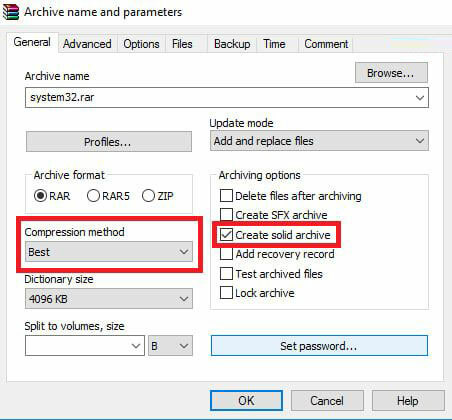 When the WinZip screen is displayed, click on "Zipx: Best method (smallest size)" under Compresion Type and click Add to begin compressing the file. - WinRAR is one of the most popular software today. WinRAR can compress RAR and fake RAR files quite easily, WinRAR can also compress and decompress files to other file types such as ZIP, ISO, 7-ZIP, CAB, TAR. - To compress the WinRAR file, simply right click on the file you want to compress> select Add to archive> tick choose Create solid archive in Archivingoptions. - Then select the Compression method as Best. In addition, WinRAR also has a special compression mode called RAR5 in the Archive format. - This is an improved compression mode that allows for more file compression. - Continue the current best compression software comparison series for Windows, the tester comes to 7-Zip software. This is a free open source compression software which is worth trying on a computer. Similar to computer-based compression software such as WinRAR or WinZip, 7-Zip software offers users a wide selection of file formats when decompressing files on a computer. - To compress files on a computer with 7-Zip, just right-click on the 7-zip option and click Add to archive to add the archive and zip archive. 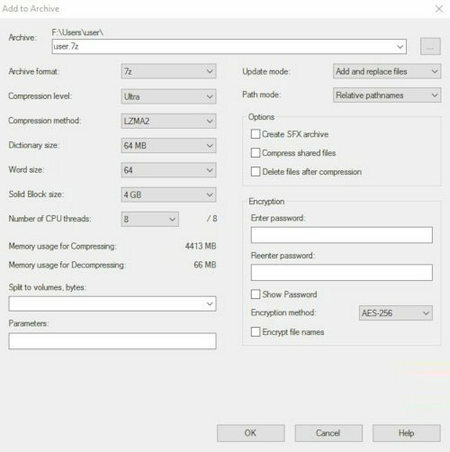 In the file compression interface, you choose the compression method LZMA2 (with the condition that your computer has a strong configuration), then set the compression level to Ultra. - It is possible to rely on this quite intuitive test results to determine that, different between both file compression software is not large, special even on even when use the compression format, offset between files compressed with 3 software is not too many. - However if if as a required and file compression output, user should be using software 7-Zip to compressed file and extract file on the computer will be suitable. While there is the need to read open ISO file and extract many ISO files, you can use the WinRAR and 7-Zip software matching to read output file ISO and extract file ISO best nhất.